Are you aware you can include flight details on your website? You can , thanks to Google Flights search. Google Flights is one of the many recent developments in Google search that could be a game changer in the airline industry. Google developed the Google flight search (www.google.co.uk/flights) after acquiring the company ITA software. Google launched this earlier just in the US (in fact as early as 2011), but from March 2013 the service is available in a few European countries – including the UK, France, Holland, Spain and Italy. This is a localised search service with the results available in both the local currency and from local airports. 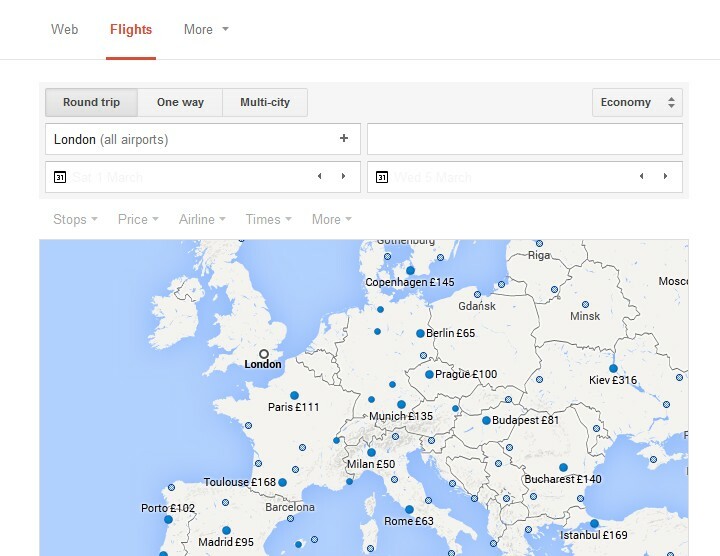 What is the likely impact of Google Flights Search? In the short term ExtraDigital think this service from Google will have little impact on established travel operators. We say this as a detailed research of flights offered shows those from Google flights not to be the most competitive. The online travel market is very price sensitive and companies able to negotiate a discount with providers will be at a competitive advantage. But savy tour operators or hotel chains may be able to use this to gain competitive advantage by providing a helpful flight lookup service to website visitors. The Google flights search is fast – much faster than the airline industry systems and this is a huge advantage. Longer term this will open up the competition and should enable smaller business to access the airline databases of flights. It is possible some businesses will be able to take advantage of the fast search speed as waiting ages for results to appear from current systems is a poor user experience. ExtraDigital provide mapping and Google API services to integrate maps, route and other Google services into your website. There is currently no Google Flights API available for development use, but the Google flights search can be integrated as a google search within your website.